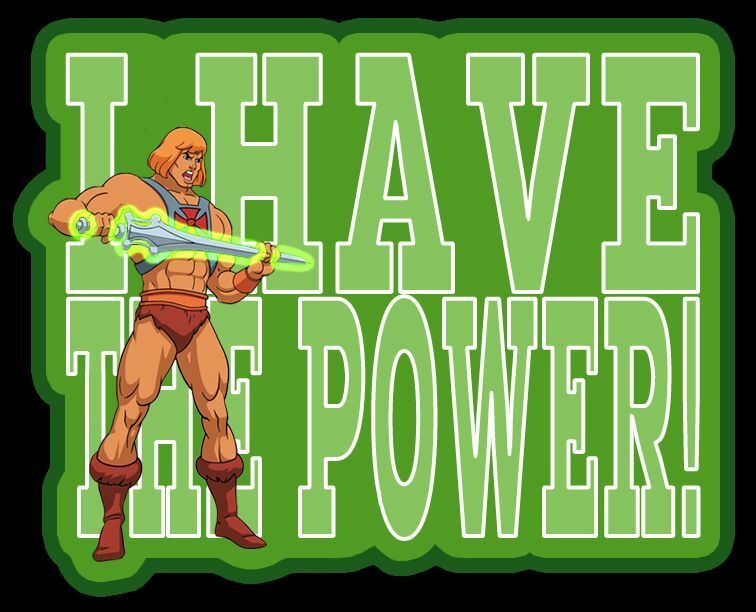 “I have the Power!” Do you? I heard it said that Power is one of the temptations of speakers, preachers and church leaders, I was trying to think how this would manifest itself. Certain denominations call their leaders “Father ….” or “Teacher...” when it explicitly says in the Bible “don’t call anyone Father or teacher for there is only one father (God) and one Teacher (Christ)” We give these titles to men/women that we respect, that we look up to for their insight, their theology and their knowledge, but we actually have equal insight and power as all who have been “born again” have the Holy Spirit within them, and all are priests and apostles! What I would like to know is when things go wrong, when you are having a really bad day, when you are really struggling with a situation, what do you do? What do you think? Do you say “O my God!” but not actually mean to ask for the help of a deity? Do you pray for help, recognising there is one who can and wants to help, as he has the power and resources to do so? Do you just give up and feel down, as you feel “Powerless“? Do you rely on your friends/family to “pick you up“? So I have the Power, and if you are a born again follower of Christ so do you! What are you waiting for? Get out there!! Either use it or get it!! Do we need another “Billy Graham”?